CEO Frank Holmes of U.S. Global Investors sees an upcoming gold buying opportunity. 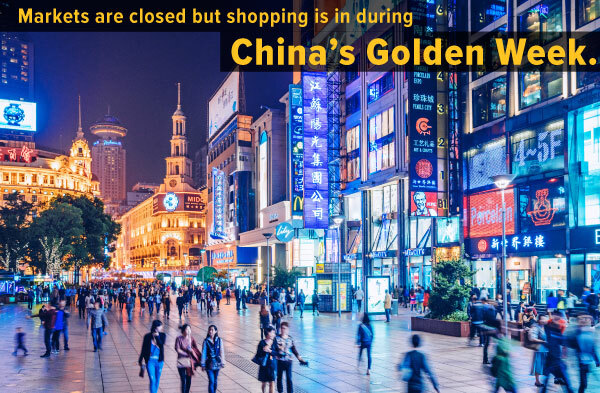 In light of the worlds biggest gold producer and purchaser - China's markets will be closed in an observance of a major holiday next week. 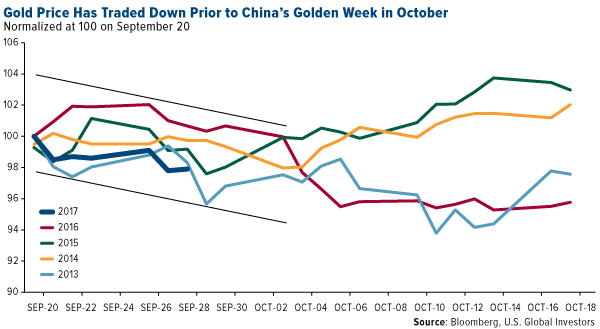 The main contributor to a pullback in the gold price would likely be the fact that markets in China will be closed next week in observance of Golden Week. Think of Golden Week as China’s Fourth of July—if the Fourth of July lasted for several days. This year marks the 68th anniversary of the founding of the People’s Republic of China. 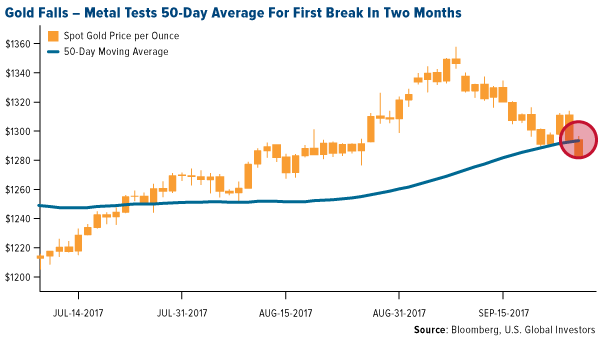 Given that the country is the world’s largest gold market, the metal has in the past depreciated leading up to the week-long celebration.